PDF control software is one of the most popular programs available today. However, there are a few of these programs that can be described as unique, where the functions of most of these programs are similar, however some of them offering something new. 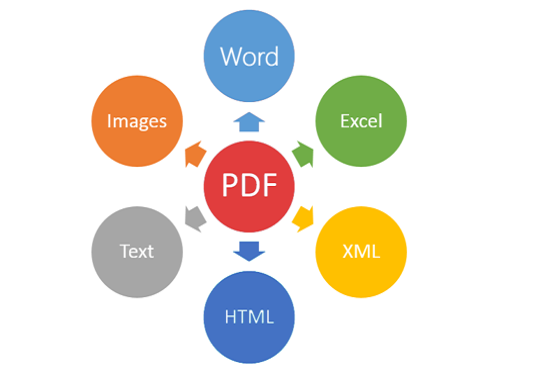 If you currently have a file (s) of PDF type and want to make some changes, such as: separate pages, compress the file size, or simply convert it to another format so you can easily share it or protect its content with a password so that specific individuals can read Content. All of these procedures will not require you to download one or more programs. Let me know through this article on the HiPDF website. HiPDF is a web application that includes more than 27 different tools in one place. All of these tools are free and help you to control PDF files in a professional and direct way from the web browser, no need to download heavy and commercial software on your computer. HiPDF allows you to convert the file format to various other file formats such as: Convert PDF file to Word, PPT, Excel or JPG file and others. You can also merge multiple PDF files into one file, or vice versa (separated pages). You can compress the size of PDF files and make them small size suitable for online uploads if you have a slow internet speed. In addition to the possibility of protecting the file with a password to prevent anyone else - who does not have a password - from viewing the content. HiPDF's functions are not only what distinguish it from the programs and sites involved in this sector, but there are also a number of motivations that make you consider it as a central location for you. The site is characterized by a simple interface, organized and very coordinated, which makes access to the tools included is easy and does not require lengthy search, you will also notice during the use of the tool that there is no annoying ad appears during the performance of your work on it. In addition, the site offers all its tools completely free, you do not need to create an account or download an assistant program. In terms of security, the site completely delete all files from the server after one hour of lifting and therefore no need to worry about privacy. All these features are calculated for HiPDF. You do not need to be a genius in using a computer so you can handle HiPDF, the site is very easy to use. For example, if you want to edit the content of a PDF file, simply open the Edit PDF tool from the section bar at the top, and then upload the file from your device to the site. You will then see the editing interface on the file through 3 different tools: Add Text to add text to the content and control it in terms of font type, size and color, Add Image to add an image from the device, and Add Shape to add a square shape, circle or triangle to the content . Once you have finished, click the Apply button to apply the changes directly to the file. As previously mentioned, the HiPDF application allows you to convert formulas from or to PDF. You can click Convert PDF from the section bar at the top and then specify the format whether converting a PDF file to a Word file, PowerPoint file, Excel file, image or ePub file. Once you select the correct tool, you will upload the PDF file from your device to the site, and within seconds or minutes - depending on your internet speed - the download will be available in its new format by pressing the Download button. You can press the Start Over button to apply the same operation to another file. Do you have a PDF file containing confidential data or sensitive information that you do not want other people to see by mistake? You can use Password Protect PDF, which allows you to encrypt and protect a PDF file with a password that is difficult to break or break. All you have to do is press the Choose File button to select the file from your computer. After you complete the upload on the site, you can specify the password you want to impose on the file, then you can download it later, but this time you will be able to view the file content only after entering the correct password. You can now share the file with other parties and give them the password so that they only have access to the file. With HiPDF you can do lots of things, it saves you the money and the ability to buy a program that performs those services, but the site gives it to you for free with ease of use. HiPDF has more tools than we talked about in this article. You can also rotate PDF pages, cut part of them, delete entire pages..etc. The site is constantly updated to add more tools that help users control PDF files fully.